In 2011, William Shatner interviewed the captains of all the different Star Trek franchises in a feature length film aptly named The Captains. The focus of the documentary was the trials and ordeals of becoming and being a United Federation of Planets captain. 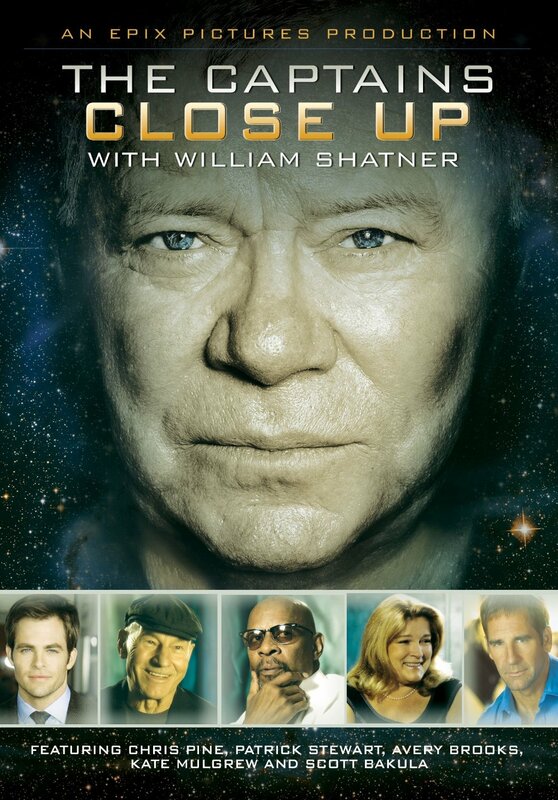 Shatner has now gone back to interview the captains in a more in depth way in The Captains Close Up. The focus of The Captains Close Up is not the role of the captain, but the people behind the roles. It is an in depth look at each of the actors, going back to their childhoods and the beginnings of their careers and leading up to the time they were on Star Trek and beyond. Unlike The Captains, the Captains Close Up gives a more dimensional look of them as people, along with other members of the Star Trek casts giving testimonials. The Captains Close Up has more time to dig deeper into the lives of the actors because it is a five episode series that was broadcast on Epix. The episode titles are William Shatner, Patrick Stewart, Avery Brooks, Kate Mulgrew, and Scott Bacula. The second through fifth episodes have heavy focus on the actors they are named after, but the Shatner episode also spends some time with Chris Pine and a conversation between Shatner and Mulgrew, but still gives a good background of him while also introducing the series. It’s interesting to see what paths have led each actor to the Star Trek franchise and how their careers have ebbed and flowed around it. It’s most notable that most of them were serious theater actors and most of them had been the lead stars in series before becoming the leads in these iconic science fiction shows. The lack of focus on the Star Trek fandom and limiting the time spent talking about Star Trek (with the exception of their co-stars’ anecdotes) gives a strong feel for who the people are that behind the roles that we watched on television for decades. The Captains Close Up was a well done documentary series that was strongly enhanced by spending a half hour on each actor, rather than an hour and a half over all six principles. It’s the perfect companion to the The Captains and deserves to be watched to get a fuller picture of these individuals beyond their time on the bridge.